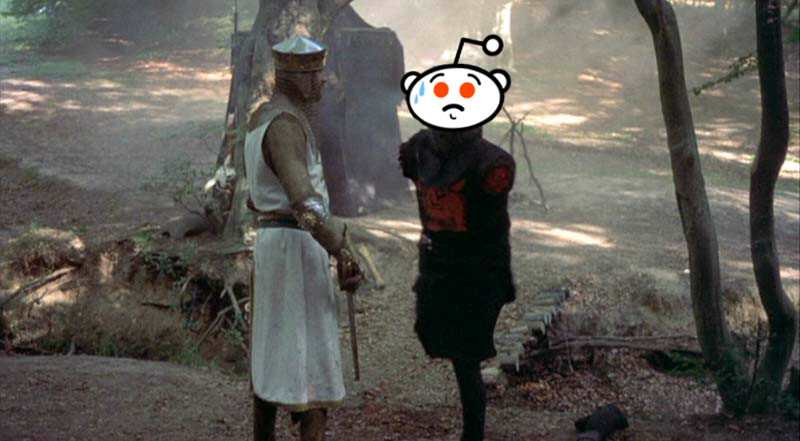 I was won­der­ing how long it would be be­fore I had to dis­cuss is­sues at Reddit again. 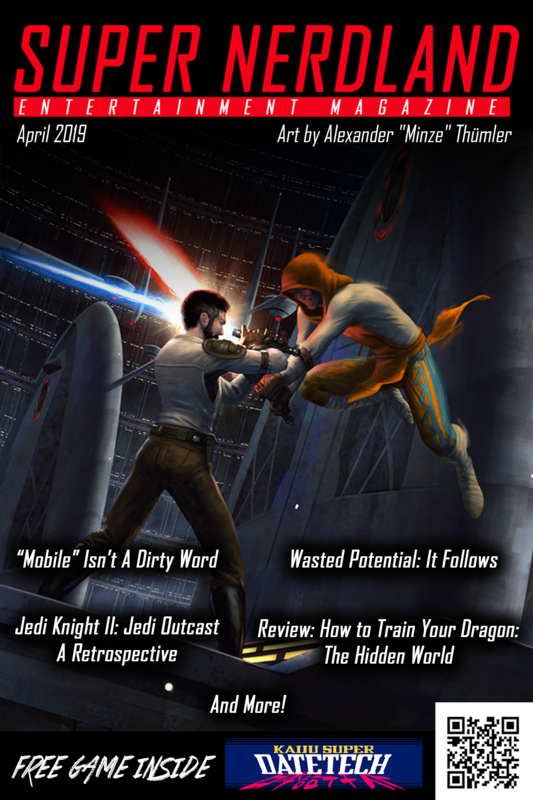 Over the past months and years, Reddit has been catch­ing flak from the ac­tions of its mod­er­a­tors, ad­mins and from the cor­po­rate lev­el. Yesterday the oth­er shoe dropped when Reddit ad­mins start­ed to ban sub­red­dits that the ad­mins claimed were abus­ing the rules and ha­rass­ing oth­ers. 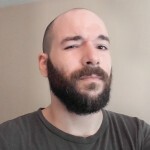 This has caused a tidal wave of crit­i­cism and com­plaints from users and some groups of mod­er­a­tors on the site, es­pe­cial­ly in light of the ap­par­ent dou­ble stan­dard — and as we’ll see in one case, out­right ig­no­rance — when it comes to which sub­red­dits have got­ten the axe. Boards be­ing banned is not the only re­ac­tionary clean up move that Reddit ad­mins have en­gaged in ei­ther, de­cid­ing to vote­lock a num­ber of sub­red­dits in­clud­ing /r/videos and /r/pics. These ac­tions come af­ter the cor­po­rate side of Reddit worked with var­i­ous oth­er or­ga­ni­za­tions, aca­d­e­mics, and oth­ers to start draft­ing new poli­cies re­gard­ing ha­rass­ing be­hav­iour. During this time, Reddit’s ac­tions re­gard­ing cen­sor­ship of in­for­ma­tion and dis­cus­sion of Reddit in­ter­im CEO Ellen Pao, as well as the bizarre case of one mod­er­a­tor de­mand­ing a user write a 500 word es­say to be al­lowed to post again. Starting in the af­ter­noon of June 10th, Reddit users start­ed to no­tice cer­tain “prob­lem­at­ic” boards were be­com­ing banned. An an­nounce­ment was made that, ini­tial­ly, five sub­red­dits were slat­ed to be axed. These in­clude the boards /r/fatpeoplehate, /r/neofag, /r/transfag, /r/hamplanethatred, and /r/shitniggerssay. These boards in­deed look to con­tain a fair amount of big­otry, but Reddit is show­ing a dou­ble stan­dard in these choic­es. Subreddits like /r/coontown, /r/thinpeoplehate, /r/niggercartoons, /r/philosophyofrape/ and /r/cutefemalecorpses re­main on the site. 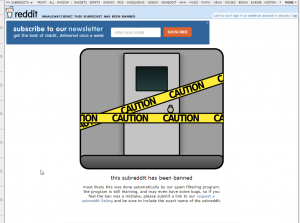 Even Reddit’s “Most Toxic” board, /r/ShitRedditSays, is cur­rent­ly safe from the ban­nings. 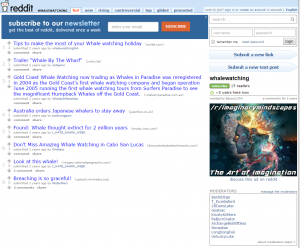 Even more cu­ri­ous, while those sub­red­dits stand un­scathed, Reddit ad­mins have de­cid­ed to ban a board called /r/WhaleWatching that was lit­er­al­ly about watch­ing the sea bound mam­mals in their habi­tats. The board is now just marked pri­vate, and we are reach­ing out to mod­er­a­tors of that board for any com­ment on this. Banning sub­red­dits are not the only emer­gency PR move that Reddit ad­mins have en­act­ed ei­ther. Various boards across the site are hav­ing their new sub­mis­sions vote­locked; where one can post links and sub­mis­sions but vot­ing has no ef­fect on them. This ap­pears to be a move to con­trol the anti‐Reddit and anti‐Ellen Pao im­ages, videos and ar­ti­cles that were be­ing post­ed and mak­ing it to the front page, as well as in­un­dat­ing /r/all. 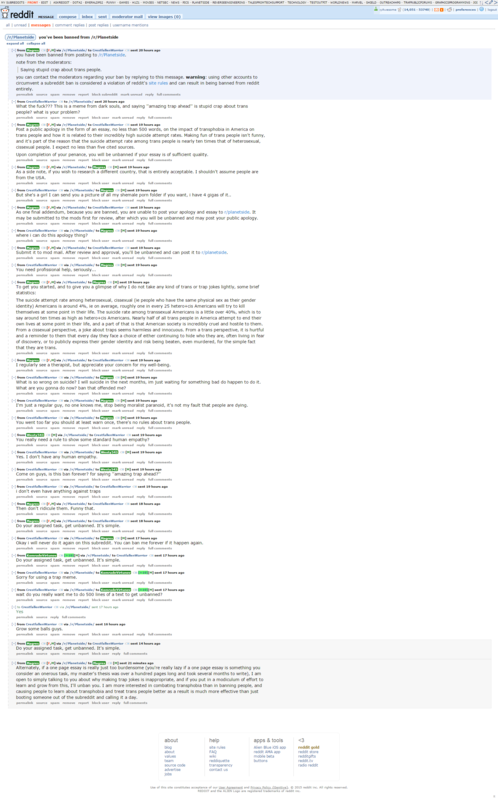 Subreddits that are cur­rent­ly vote­locked in­clud­ed /r/pics, /r/video and /r/kotakuinaction. We had al­ready not­ed in a pre­vi­ous ar­ti­cle that Reddit seemed to be ap­proach­ing a 180 de­gree turn around on it’s orig­i­nal tenets of be­ing anti‐censorship and pro‐free speech. While we do not agree with any big­ot­ed ha­tred from any source, Reddit is be­ing a bit hyp­o­crit­i­cal in the choice of boards they are go­ing af­ter. It speaks to Reddit giv­ing pref­er­en­tial treat­ment when boards that shame fat peo­ple are nixed but boards that shame skin­ny peo­ple are left. When some of the most of­fen­sive boards are re­main­ing ac­tive and they vote­lock /r/pics and /r/videos, it shows that Reddit is not be­ing even­hand­ed in their re­cent­ly — vague­ly de­fined — poli­cies about the di­rec­tion of the site. This is only serv­ing to fuel Reddit’s com­pe­ti­tion, like Voat.co. Voat was ex­pe­ri­enc­ing serv­er is­sues yes­ter­day due to the sheer amount of traf­fic from folks ex­o­dus­ing Reddit. Certain boards are be­ing recre­at­ed on sites like 8ch.net, and some users even — al­beit jok­ing­ly — men­tioned go­ing back to Digg. While it is true that as a cor­po­rate en­ti­ty, Reddit has no man­date to be trans­par­ent to its users re­gard­ing the ac­tions it does to en­sure “safe spaces” on its site, the vague­ness of Reddit’s new poli­cies and the pref­er­en­tial treat­ment in re­gards to which boards are get­ting banned are leav­ing users wary of who and what will be on Reddit’s chop­ping block next. As users of the site have stat­ed, the #red­ditre­volt has be­gun.